Looking for a good Christmas or birthday gift for your mom? Why not get her something that will make her feel beautiful. 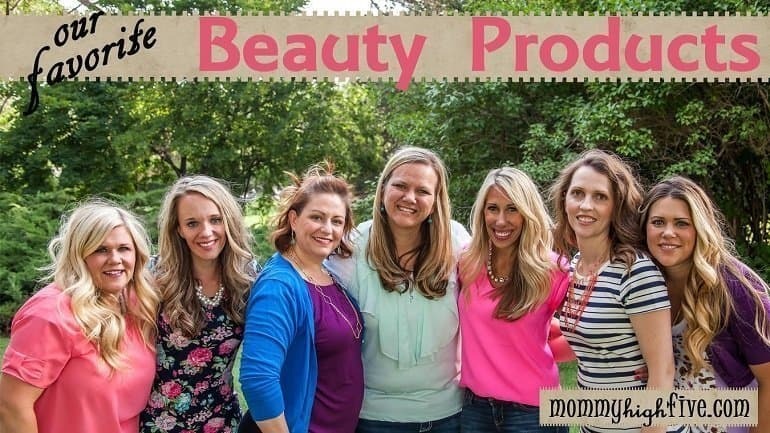 Here at Mommy High Five, we all have that one amazing beauty product we can’t live without. It may be for your skin or hair or it might just be a type of makeup that makes you shine. Whatever it may be, it’s that one product that makes you feel beautiful and confident and ready to take on the day. So, we thought we’d share our favorite budget and time-saving beauty products with you. These are our must-have, can’t-live-without items that make us feel and look great! Looking beautiful doesn’t have to expensive. Here are seven budget beauty products from under $10 to $50 that our moms can’t live without. There you are sitting next to one of your girlfriends. You look over to see the sun shining just right. It illuminates her beautiful face… and facial hair! Admittedly on more than one occasion I’ve thought to myself, “girl… mustaches may be in right now, but not on women”. So ladies, have you heard of the “Tinkle”? And no, it doesn’t have anything to do with potty training. The first time I heard about this little beauty product I was reading about it on a beauty blog. I wasn’t sure I heard right. Was she shaving? Did she have a beard? The Tinkle not only gets rid of that fine hair above your lip, chin, eyebrows, or side burns it gently exfoliates the skin at the same time. It’s easy to use and inexpensive. I’m seriously considering giving them to my gal friends for Christmas with a little tag attached saying something like, “Santa needs a beard, but you don’t”. Buy it, try it, and gift it to the girls in your life. You can thank me later. Moms you have gazillion things to do today, twelve-hundred places to be and you simply don’t have time to wash, blow-dry, and do your hair again. Sound familiar? On days like this, I use Batiste Dry Shampoo. I love this dry shampoo because it goes on light. I simply spray around my scalp where it tends to look a little “day old” aka greasy. Then I simply blow dry it in a bit to set it and Wam Bam! I look like I took the time to fully wash and dry. In reality, it only took about 30 seconds. That’s good because with 5 kids and a busy schedule; 30 seconds is about all I have. It leaves my hair feeling clean, gives my hair body, and makes me feel “put together” in no time at all. 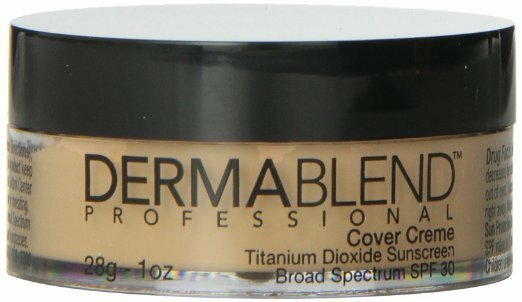 This is one product that I use a few times a week because I love it so much! 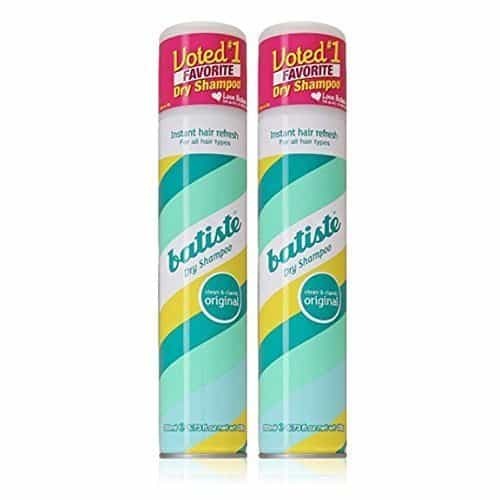 If you are in the market for a dry shampoo or are in the market to stop washing your hair everyday, Batiste is the way to go. I went for a mini makeover at Sephora and they introduced me to this AMAZING Product. My skin was a bit rough and they said I could use a good round of exfoliating. The Boscia Exfoliating Peel Gel is a physical and chemical peel. The first time I used this on my own, I could not believe my eyes with how much dead skin came off of my face and how clean my skin felt! The best part of all is the BABY SOFT skin you are left with. Not to mention it firms and brightens as well. I was so shocked at how soft my face was that I called my husband in to feel my skin. He was also impressed, so what did I do? I made him try it out. It took some serious convincing, but he eventually agreed. He liked it so much that I actually caught him on another occasion using MY peel gel AGAIN! If a man using his wife’s product doesn’t sell you then I’m not sure what would. I use this product about twice a week, and I am amazed at how quick and easy it is. Cleanse first, then rub the Boscia Exfoliating Peel Gel (a little goes a long way) on a DRY face, watch the magic happen, and then rinse. Super easy and fast for a busy Momma. This product is available on Amazon, but I actually found it to be a little cheaper to get it right from Sephora. It runs around 35-40 bucks and is worth every penny! Give it a try. If you’re like me, your must-have beauty product is under eye concealer! Dark circles are a mother’s constant companion! For me, brightening up under my eyes helps so much. Because it’s a bit of an obsession to find the best one, I’ve tried most all brands! I’ve tried drugstore cheaper concealers and the high end. I used to love the MAC concealer pit until I found my favorite! A girl after my own heart. I tried it and loved it! It truly covers and has great consistency. I love that it comes in a big pot, bigger than any other concealer out there, and it can last almost a year! You can use it on spots and blemishes and all over your face too. I discovered it 4 years ago. Sometimes I try the new best thing, but I continue to love and go back to this one! It’s totally worth a try. Enjoy! Right now, my favorite beauty product is something that I get asked about all the time. Everywhere I go, people ask how I get my hair to curl the way it does. Believe me, it’s not natural! My secret weapon is my curling wand! There are so many out there, so many sizes and styles. The truth is, you don’t need the most expensive wand out there. You just need one that gets HOT. Ideally, you want a curling wand that has a temperature control option and can get above 400 degrees. My favorite one is the Hot Tools 1 1/4 inch barrel roll wand. 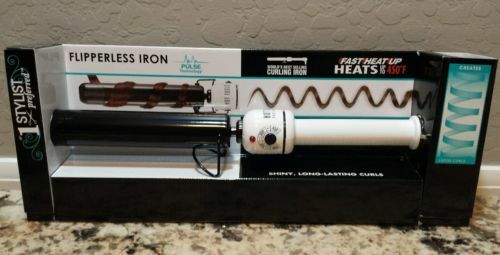 It has a temp control, and I love that I know how hot my wand is. If you are used to using a flat iron to get curls, you will love the way a curling wand can make your hair get uniform curls every time. A flat iron gives you just what you would think: nice, flat curls. I love that a curling wand gives you more of a “bubbly” curl. It’s full of body and can often look like natural waves when you lower the heat setting. If you are used to a traditional clamp-style curling iron, then a curling wand will definitely take some getting used to! I recommend finding a wand that comes with a heat resistant glove to protect those fingers until you get used to not touching the end of the wand. Clamp-style curling irons have the same effect as a flat iron because they both require the hair to be passed through heat that is clamped down so it’s difficult to get the body you may want. 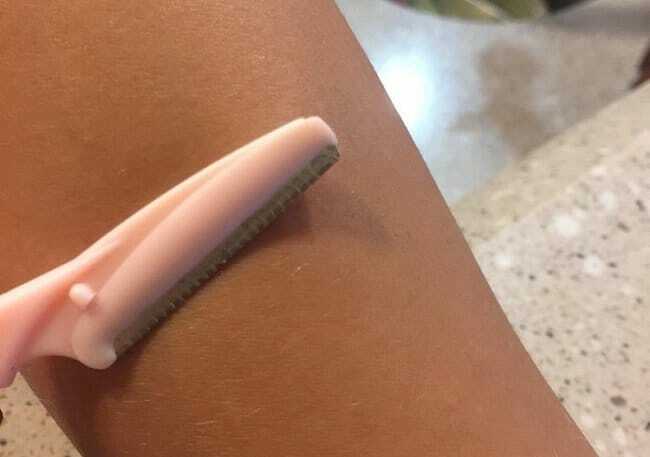 I know women with curly hair that need either the flat iron or curling iron to get the “kink” out of their hair. If you have curly hair but want the look that you get from a wand and don’t mind the extra step, then I would suggest a quick pass through with that flat iron to get the hair smooth then use the curling wand to get those perfect voluminous curls. Just make sure to use a heat protectant to ensure you don’t singe your gorgeous locks! 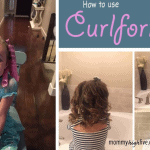 I also regularly use Curlformers for specific curls. Happy curling! When I was 6 my grandmother asked me what I wanted for Christmas and I happily said, “Makeup!” You can imagine my excitement when on Christmas morning I opened my presents and there was makeup including bright blue mascara! Quickly I put the makeup on the best my 6-year-old self could and learned I was allergic to all of it, especially the mascara! 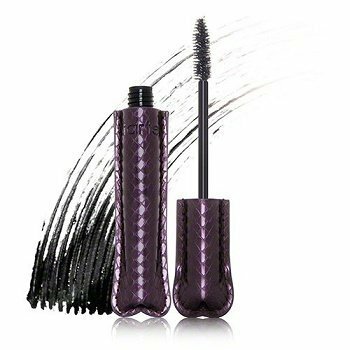 As I got older and started to try out mascaras here and there, I learned I could wear mascara until my eyes started to burn. Once the burning started I had to wash it off and hope my eyes would not swell or worse my eyelashes fall out. Unfortunately, this has happened more than once! 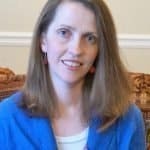 A few years ago, after once again having a reaction to so-called hypoallergenic mascara, I went shopping determined to find a mascara I could wear and what did I find? Tarte Amazonian clay mascara! My favorite is Tarte’s Lights Camera Lashes, which comes in a beautiful purple packaging. It lengthens your lashes, does not flake, and lasts all day. I’ve been wearing this mascara for about four years and can’t live without it. My skin doesn’t like living in the desert. For years I’ve suffered from extremely dry hands, to the point they were red, cracked, and bleeding. I tried anything and everything I could find. We’re not talking your average lotion. This stuff is thick and gooey, and it’s amazing! Since I spend a lot of my time cooking and cleaning, I can’t have it slathered on my hands during the day. Instead, I coat my hands with it at night and wear a pair of cotton gloves. By morning, my hands are silky smooth and beautiful. 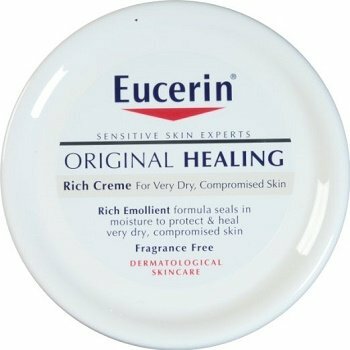 Give Eucerin a try; it won’t disappoint! There you have it ladies. I hope you find something here that you are excited to try that will become your new favorite “feel good” beauty product! Tell us your must-haves that we might not know about. We would love to hear about it and try it out!! !